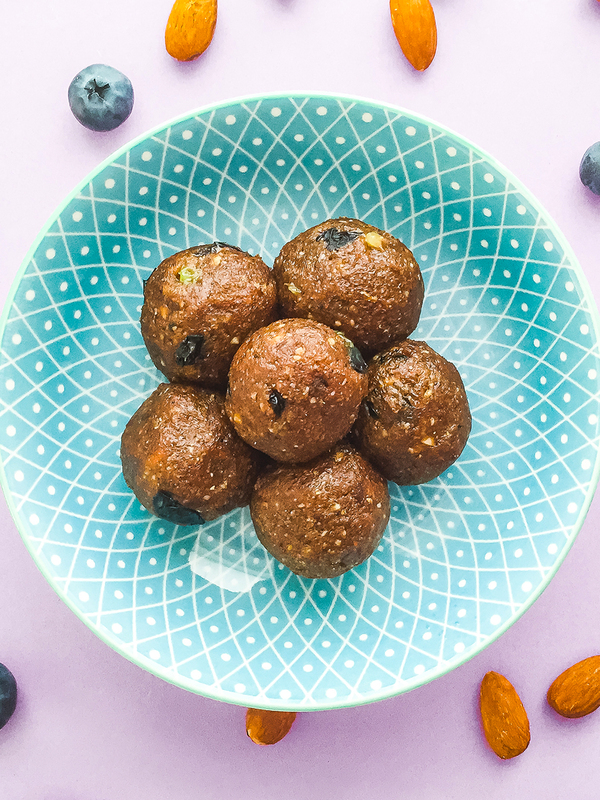 One-bowl recipes are a great solution to pack a nutritious meal conveniently ❤️. 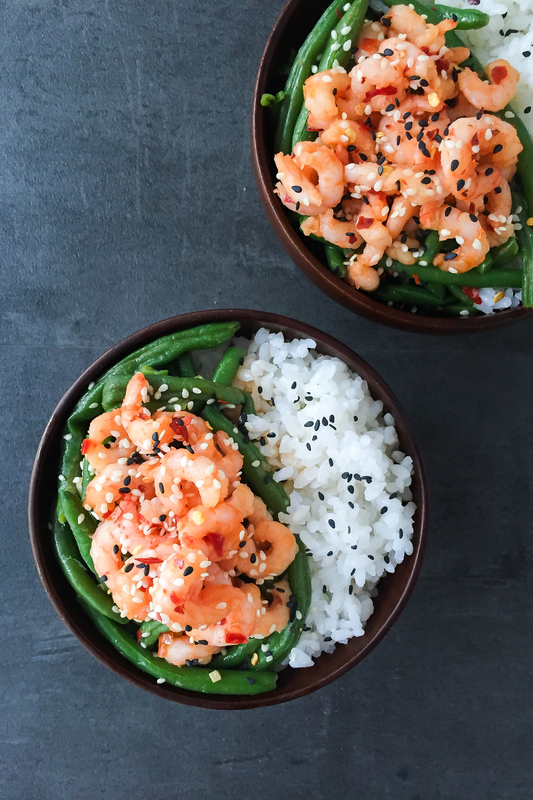 This Japanese inspired recipe is no exception and by following a few steps you can prepare a delicious, healthy and complete one-bowl meal to enjoy in a lunchbox or at dinner with your loved ones. It’s a simple and balanced main dish with rice, seafood, and green vegetables with a sweet and spicy twist. In fact, it’s made with sticky sushi rice and spicy sauteed green beans with garlic and ginger. 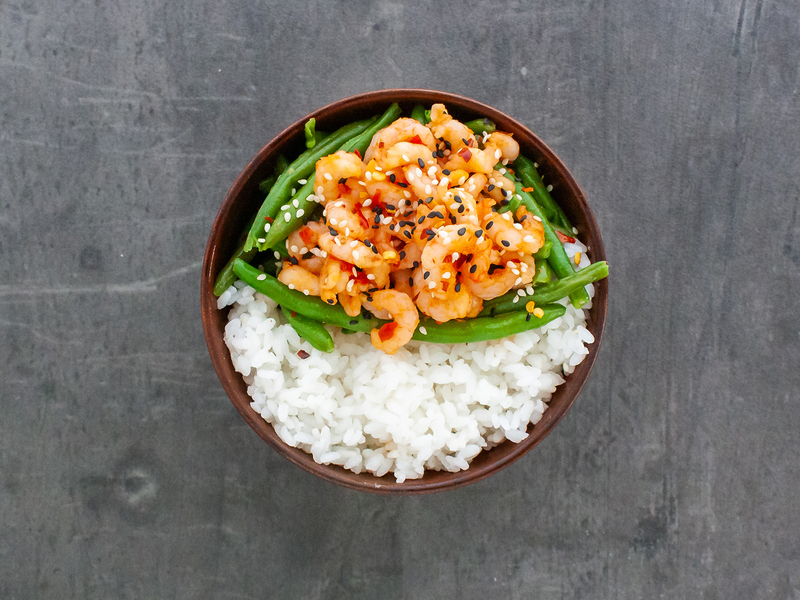 All topped with a stir-fry of fresh prawns with a delicious honey, chilli and sesame sauce . Preparing the sushi rice takes a bit of practice and time, but if you follow our steps and tips, you’ll get perfect results. 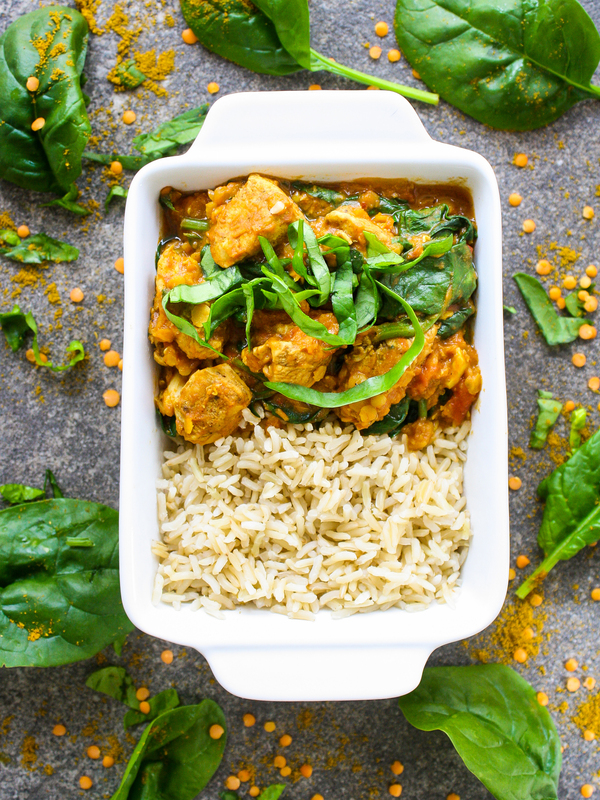 We have used pink Himalayan salt because it’s not only richer in minerals and trace elements compared to sea salt, but it also adds more flavor to the white rice. 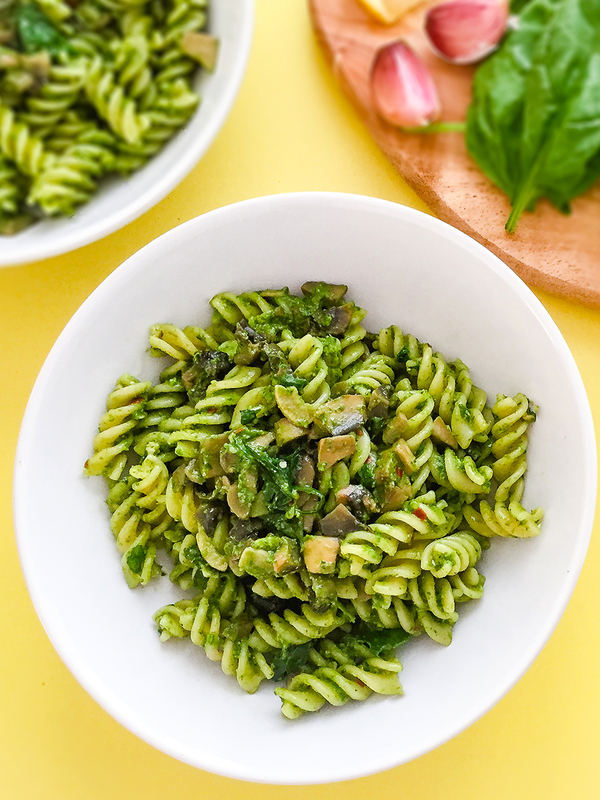 You can substitute green beans with your favorite vegetables and we recommend broccoli as an alternative as they go well with the flavors of the dish. Now, let’s get started with this yummy honey and garlic stir-fry prawn recipe. Get your chopsticks ready 異! Start by rinsing the sushi rice under cold water a couple of times, then transfer it to a cooking pan and add white sugar and pink Himalayan salt. Next, cover with water and pour 3 tbsp of rice vinegar. Give it a quick stir and turn the heat on. Bring water to a boil and simmer for 10 minutes, then turn the heat off and leave the rice in the pan covered with the lid for 25 minutes. Don&apos;t open the pan during this time to allow the rice to finish cooking and to become sticky as the starch dries out. While the rice cooks, heat the vegetable oil in a saucepan and add the finely chopped garlic cloves, 1 tbsp of chillies flakes, sliced spring onion, and ginger powder. Sizzle for 3 minutes until the garlic turns lightly golden, paying attention not to burn it. 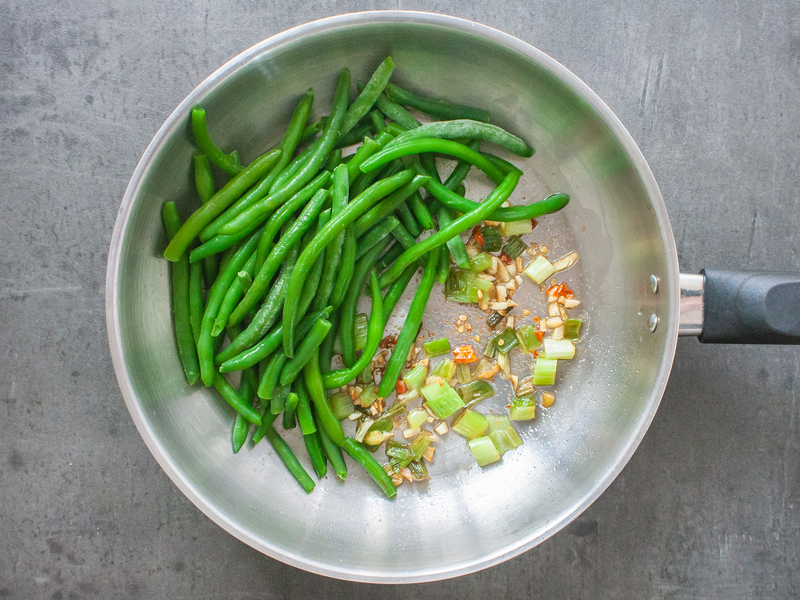 Add the green beans and cook for 10 minutes or until they are soft. Then, transfer them in a bowl as you will use the same saucepan to cook the prawns in the next step. Add the prawns to the saucepan where you cooked the green beans without rinsing it to give a nice flavor to the seafood. Combine 1 tbsp of rice vinegar, 1 tbsp of chillies, tomato sauce, honey, sesame oil, garlic powder and soy sauce in a small bowl and add this sauce to the prawns (1). Cook for 5 minutes on medium heat or until most of the water released by the prawns is reduced and you have a creamy sauce (2). 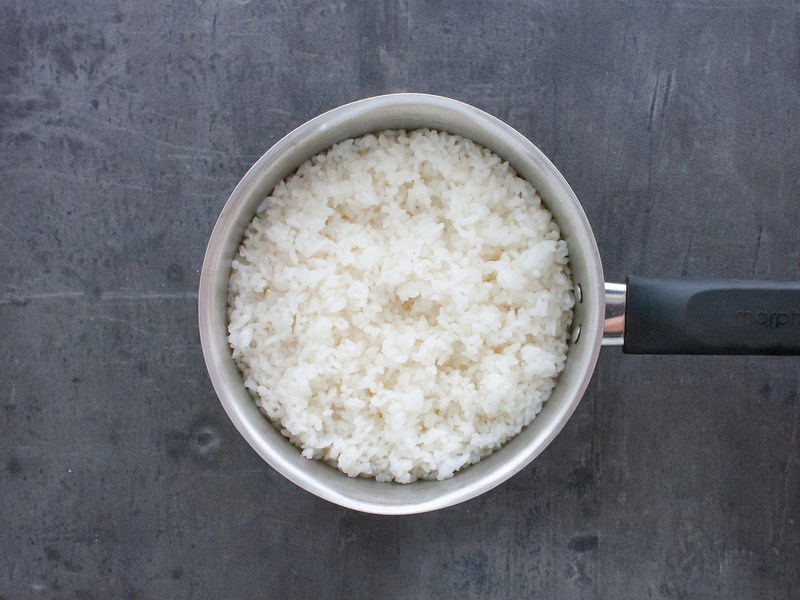 To prepare the servings, use one traditional Japanese rice bowl per person and spoon the sticky rice on one side. Lay the ginger green beans on the other side and finally top with the garlic chilli prawns. 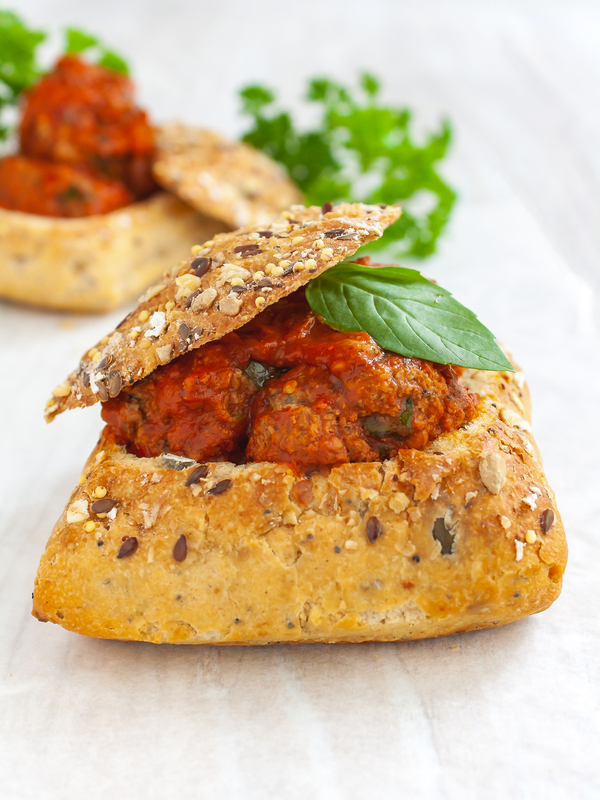 For a perfect finish, sprinkle with black and golden sesame seeds and chilli flakes. 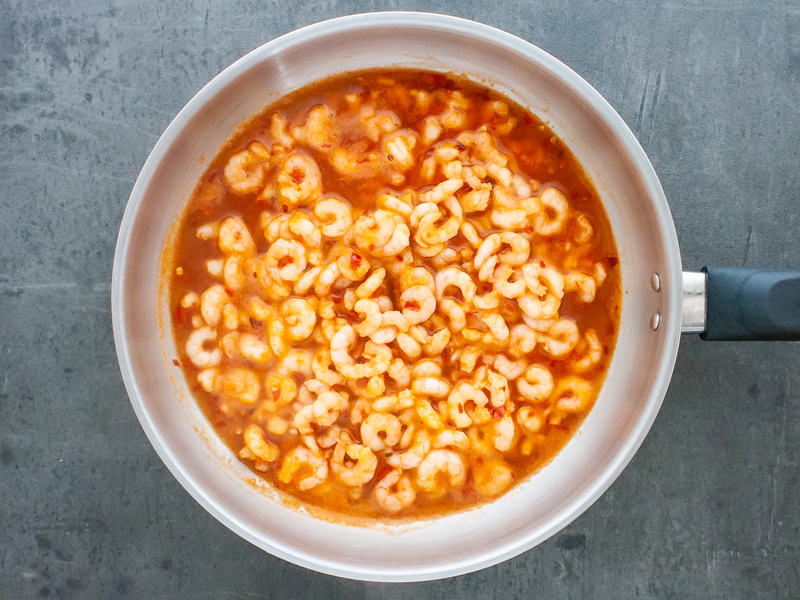 Enjoy your healthy one-bowl rice meal with sweet and spicy prawns! If you use frozen prawns for this recipe, allow them to defrost before cooking to make sure they are soft and juicy and that they don’t become overcooked. 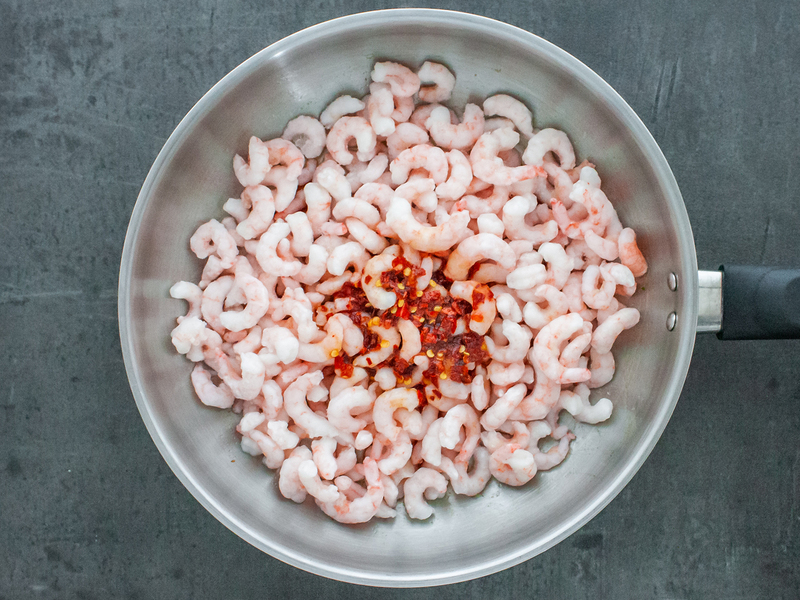 You can easily check if your prawns are ready by looking at their shape: if they close up into a C they are well cooked, instead if they close up into an O shape they are overcooked.